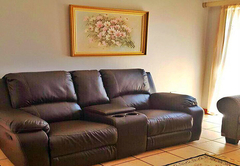 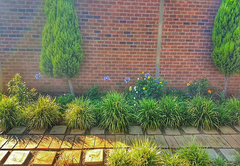 Monarch House is a highly recommended property providing self catering in Welkom for tourists visiting the Lejweleputswa region. 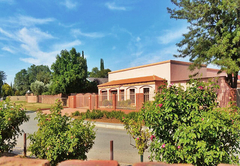 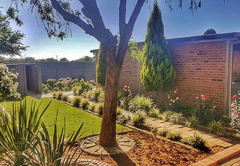 Monarch House offers lovely self-catering accommodation situated in Riebeeckstad, Welkom, about 140km from Bloemfontein. 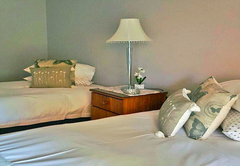 This fabulous guest house is ideal for guests looking for a long stay or those in large groups. 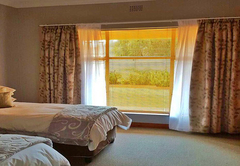 Monarch House has 13 self catering units available with a variety of bed configurations. 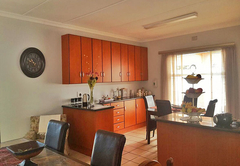 All the units have access to fully equipped kitchens and lounge areas. 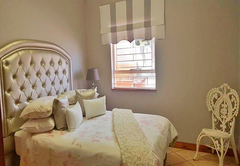 Situated on the First Floor of our establishment, Block A offers 3 Bedrooms, a communal bathroom, Kitchen, Lounge and Dining area. 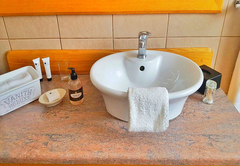 Situated on the Ground Floor, in the Front of our establishment, Block B offers 3 Bedrooms, a communal bathroom, Kitchen, Lounge and Dining area. 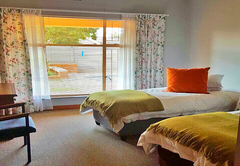 Situated on the Ground Floor of our establishment, in the centre with a separate side entrance, Block C offers 5 Bedrooms, a communal bathroom, Kitchen, Lounge and Dining area. 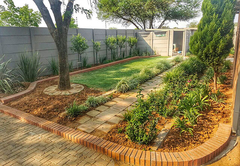 Situated in the back of the Ground Floor of our establishment, Block D offers 2 Bedrooms, a communal bathroom, kitchen, lounge and dining area. 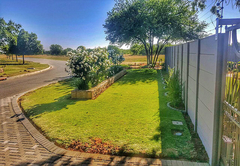 Facilities include laundry services, secure parking behind closed gates, daily cleaning services and catering in terms of breakfast and dinner on request. 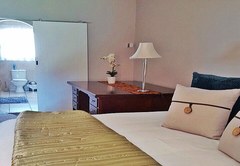 There is a small conference facility available for up to 10 delegates, which includes catering and audio-visual equipment. 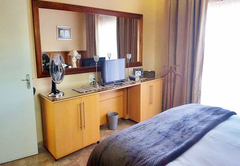 There are various units available with different bed configurations, all with access to fully equipped kitchens and lounge areas.Features include Twin beds, Double beds, King beds, DStv, Private bathroom, Balcony/patio, Self-catering, Garden views, Air-Conditioning, Fan, Television, DVD player, Tea and Coffee Facilities, No Smoking in Rooms, Hair Dryer.